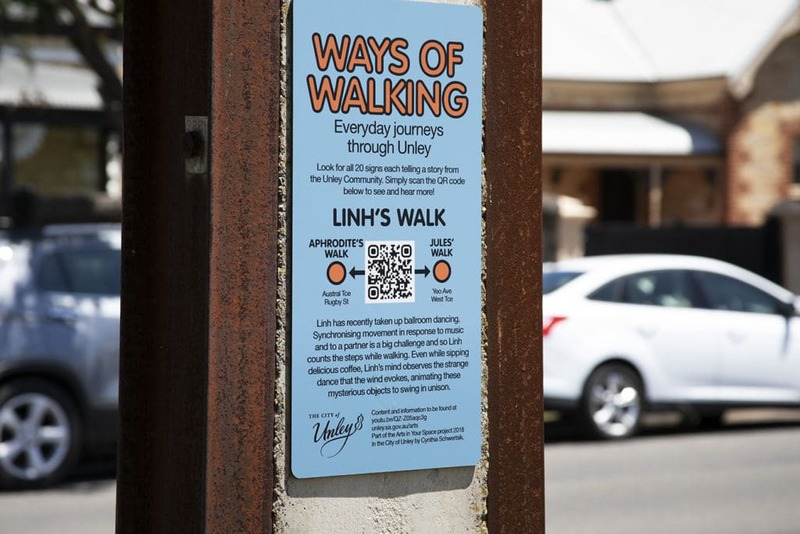 This is a public artwork commissioned by the City of Unley – for the series of Arts in Your Space. Ways of Walking is a walking tour of everyday walks and unique experiences of local people in Malvern, Highgate, Fullarton and Myrtle Bank. 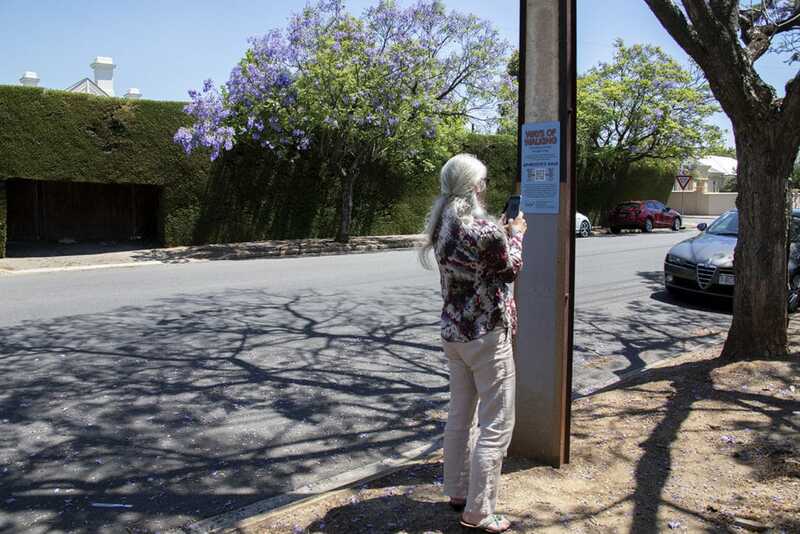 There are 20 stations, each has a tale from the community that has been transformed into a short story and a images that can be accessed through the QR-code. It was a wonderful process for me; discovering local treasures and talking to many people about their day to day experiences in the neigbourhood. I had a ball with the kids at the Highgate primary school, they where fantastically helpful and creative. If you are not in Adelaide, then you can access the content through an APP and take the walk virtually – have fun!